Hello everyone, long time no see! I know I'm a bit late with all of these but I hope you had a great Easter and spring break time (for those who had one of course.) 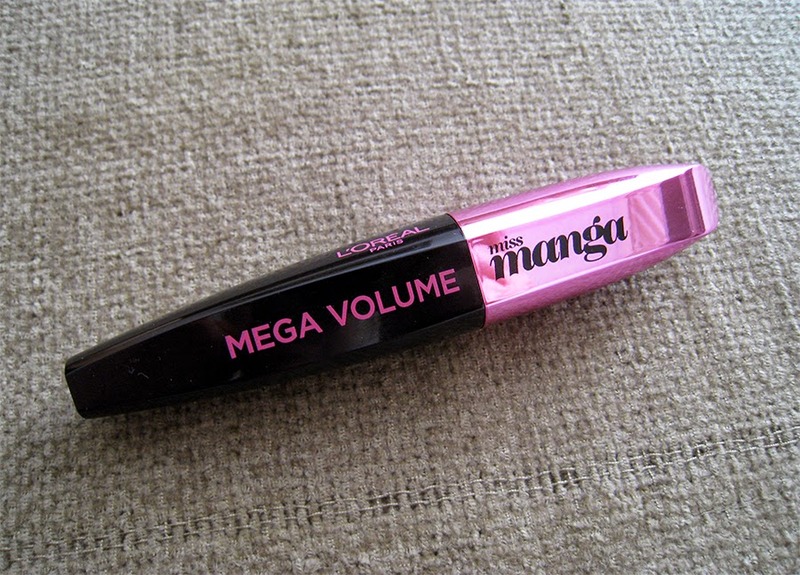 I'm back with a mascara review, a very popular one for the past few months, the L'oreal Mega Volume Miss Manga mascara. I've had it for such a long time, it was given to me as a freebie back in February at a L'oreal event, and because I already had so many opened mascaras I didn't want to use it right away, so I waited. I opened it about a month and a half ago and now I have a full opinion on this one. So let's start! It comes with a typical "natural" brush like wand, the one that I always prefer, which has a cone shape and it's not too big or too small, I would say it's more of a medium size. The cone shape is very handy because it grabs all of my lashes at once, especially the inner ones. What I didn't like about this wand is how bendable and soft it is, I have to make sure that my hands do not shake at all otherwise I make a mess and that took me a while to get used to it. Also the really fat and weirdly shaped holder is not that practical, I prefer the smaller and rounded ones, they're much easier to hold. The results I have with this mascara now that is opened for about twon months are totally different from the ones that I had when I first opened it, and not because when I first opened it it was very wet and now it's more dry like it happens with most mascaras, but the exact opposite. When I first used it the formulation was quite dry and it was difficult for me to apply it, but after 3 weeks it's like it became more wet and I don't know how that happened but it did. But at first, when it was more dry, it hold a curl much better than it does now, it still does hold a curl but not as good as it used to. When I took this picture I didn't apply the mascara really well that's why my lashes look that flat and straight, but most of the times when I use this mascara my lashes are way more curled than they look in this picture, and the curl stays throughtout the day. It seperates my lashes really well especially my lower ones, and it gives a bit of volume but it doesn't give any length, like my beloved Sephora Lash Plumper does. I haven't noticed any smudging with this one, and it's easy to remove it. 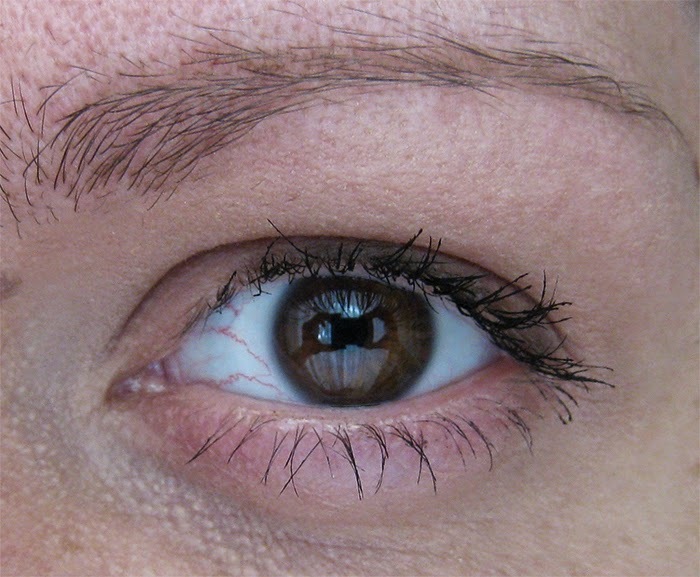 But something that I noticed is that even though it doesn't leave a heavy feeling on my lashes I can't wear it for more than 4 or 5 hours, after that my eyes start to become very watery and red. Because this mascara was given to me by the company in order to try it and review it, I'm not so sure about the exact price but from what I've seen here in Greece the price varies from 12-14 euros, it depends if you'll find it on sale or not. That makes it the cheapest L'oreal mascara in the market right now, the rest of L'oreal mascaras cost between 17 and 20 euros. -The "cone" shaped brush is such a huge plus for me, I have small eyes and thin lashes and this brush does an excellent job at grabbing all of my lashes at once and seperates them. -It holds a curl for hours, even though you cannot see it in the picture I took because I propably did a bad application job, but it does hold a curl like a waterproof mascara. -The price. It's cheaper than any of L'oreal's mascaras in the market right now, at least in Greece. 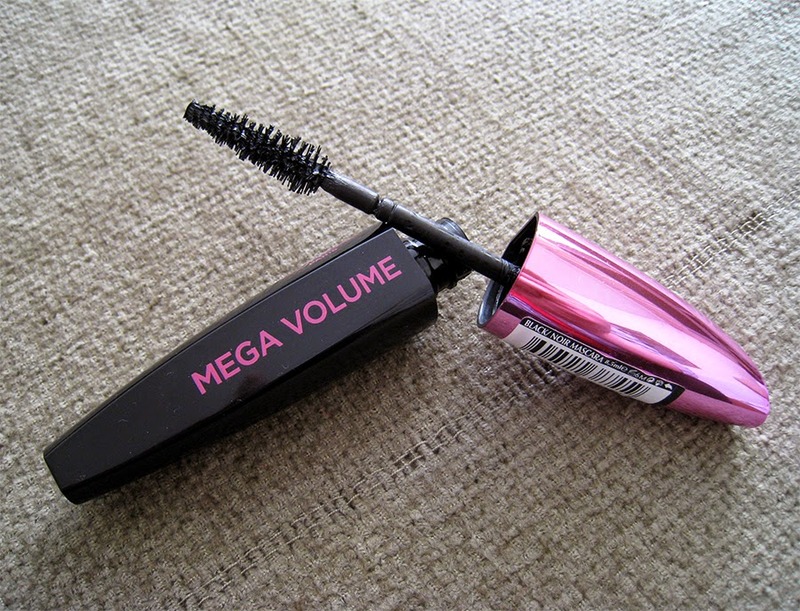 -It doesn't give any length on my lashes only a bit of volume. -The wand's holder has a weird shape and it's not easy to hold it. - Something about the formulation just doesn't agree with my sensitive eyes, after 4-5 hours of wearing it my eyes become watery, itchy and red. Overall it's a great everyday mascara that holds an amazing curl, but I had higher expectations about this one at least when it comes to lengthening my lashes. 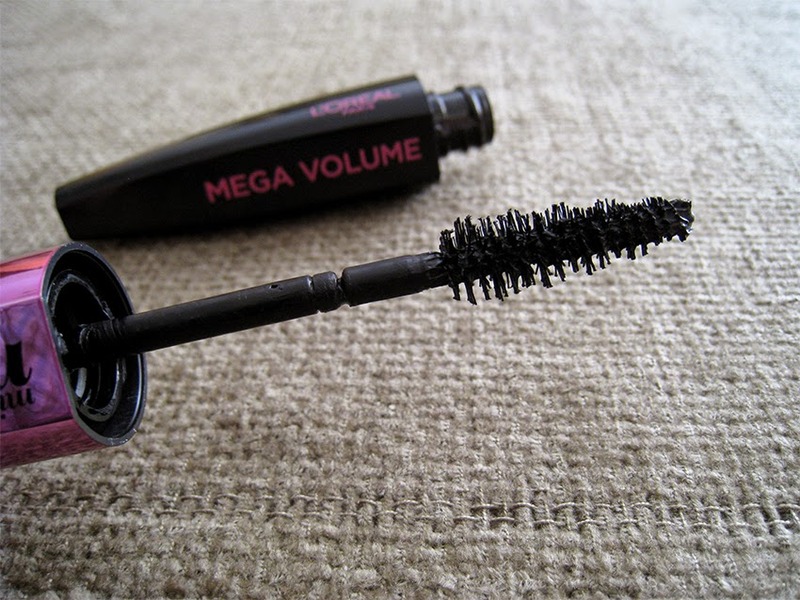 In my opinion L'oreal has other more amazing mascaras to offer, my personal favourite is the Mega Volume Collagene 24H which is a great mascara if you want more thicker lashes. Have you tried this mascara yet? What are your thoughts? Let me know! Ohhh the eternal problem! If I ever find one I will call it "photoshop in a tube"! I can't get used to the bendable brush, it takes me a while to coat my lashes. I also get mascara on my eyelid...I got it on sale for 10€, I'll use it up but don't like it.